Living in London it’s important that we escape to the seaside as often as possible. We always come back with plenty of treasures from the beach including sea glass, smooth pebbles and shells. We’ve tried to make these into souvenirs, such as the fillable wooden letter filled with sea glass we made earlier this year. 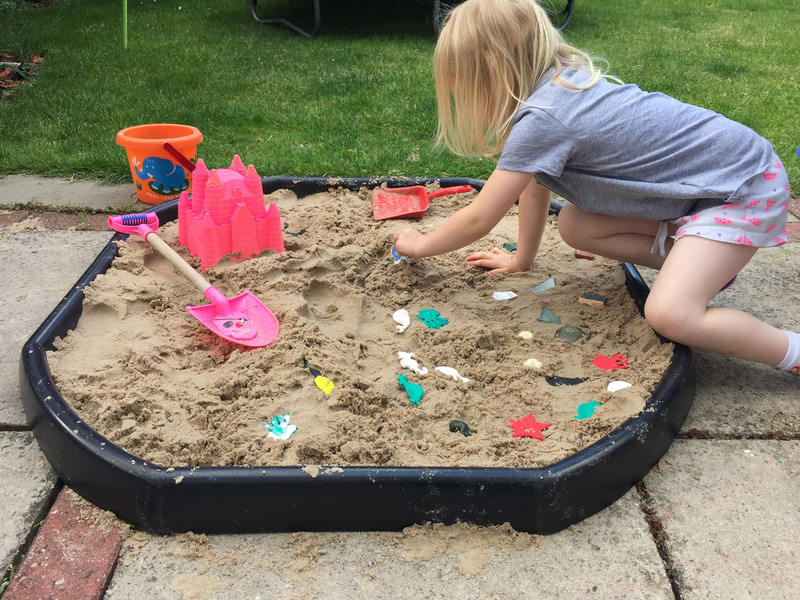 It’s been a while since we had fun with a sensory activity but the warmer weather is perfect for a beach themed sensory play. It is also a great way to remind us of previous summer holidays. First of all we used FIMO modelling clay from Staedtler to make shells, fish and sea creatures. FIMO is so much fun to play with and perfect for little hands. After they had finished making I popped them on a tray and baked them in the oven. This is also a great activity for a rainy day. 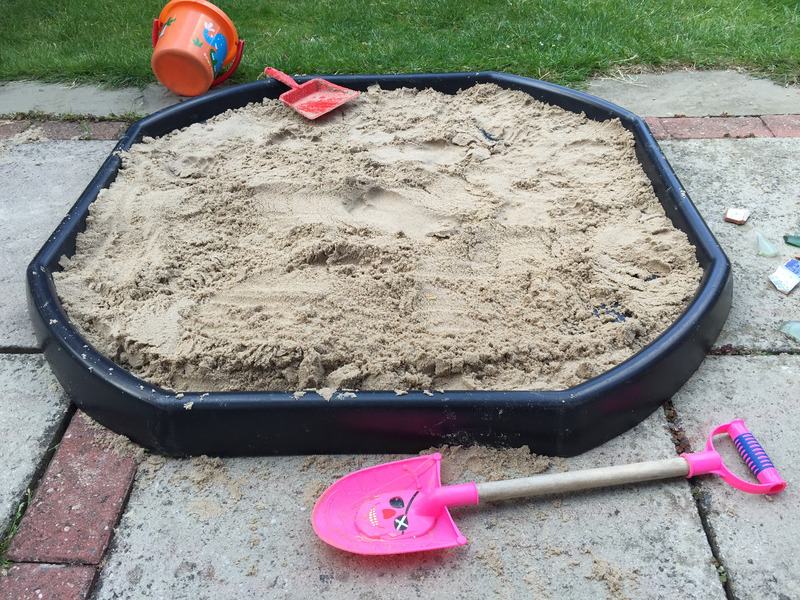 Set up your tuff spot/large tray/sand pit and fill with children’s play sand. 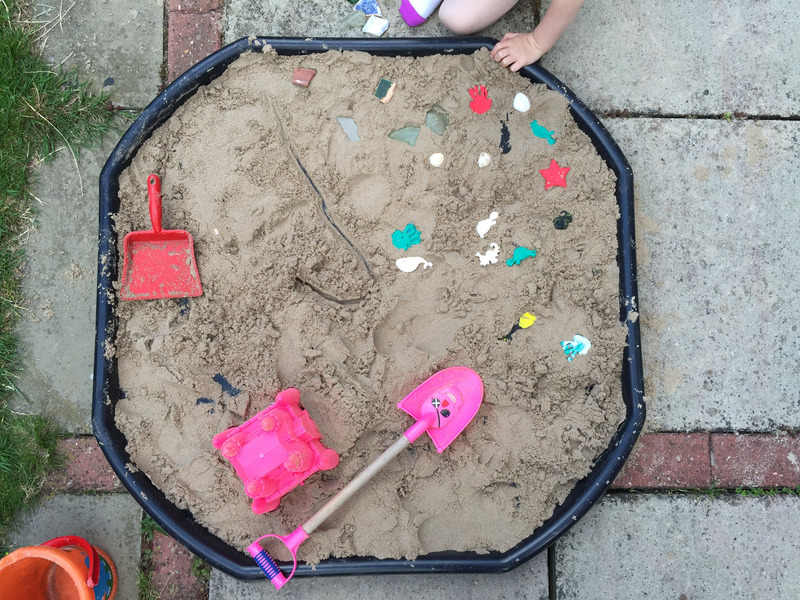 My children love playing in the sand and it never fails to remind us of being on the beach. Our favourite thing to do at the beach is build sandcastles so we did this first. smooth pebbles. Then we added the FIMO shells, fish and sea creatures. 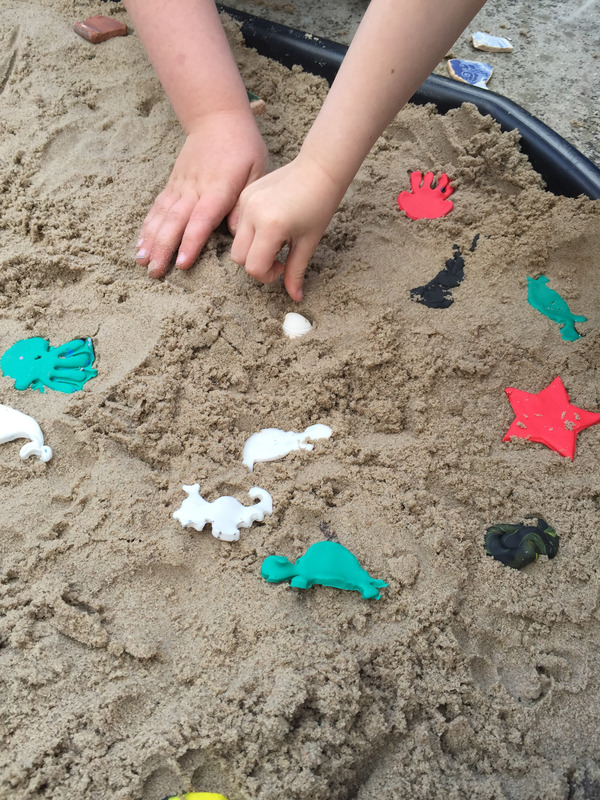 The children had fun burying them in the sand for each other, marking them with an X. 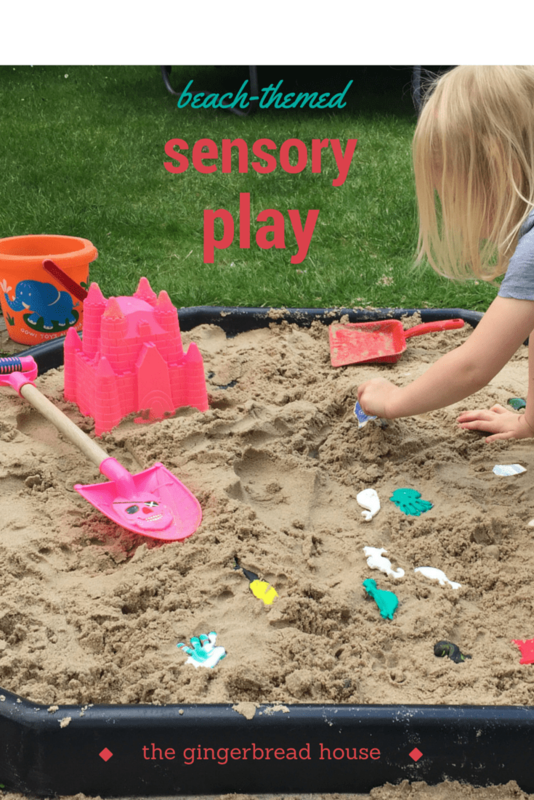 This is a lovely sensory activity which you could easily add to. 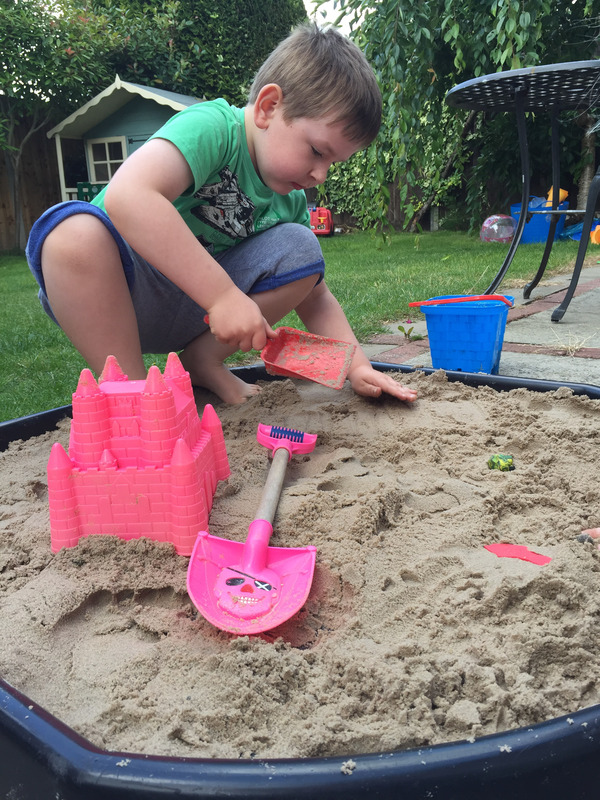 You could make a treasure map or sand castle flags. How about adding water too? Why not pop over to the Staedtler Facebook page to take part in their weekly Try-it Tribe challenges. The winner will become the next member of their tribe. More information can be found here. A beach theme is great on a summers day. love the shells, great way to have some sensory fun and creativity. Oooh, my boys would love this!